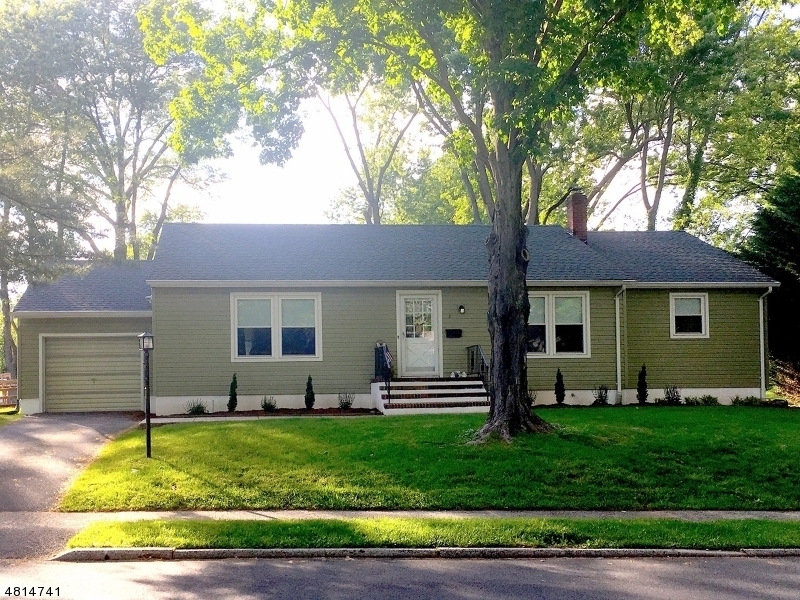 An ideally located home, with gleaming hardwood floors, crisp walls and updates throughout. Literally blocks to train, town, schools, library & community center! Enjoy a park view and proximity to all Cranford has to offer! This deceivingly spacious home, includes an eat in kitchen with ample cabinets, new granite countertop & breakfast bar and SS appliances. Living and dining rooms are spacious, open and bright. All bedrooms are generously sized with great closet space. The master bedroom has an en-suite, and two closets - walk in & reach in. Basement holds opportunity for rec room , guest space or home office. Ample storage space in attic. Parks and fields boarder this beautiful tucked away neighborhood, recreation awaits. Not a flood zn.